From time to time, I’m asked to write a guest article for someone else’s blog or website. Last week I met Rhiannon, a lovely artist of faeries, mermaids and beautiful things. She wanted to inform readers about the fairies, mermaids and other magical beings that she often paints. I love doing things like this for other bloggers. I hope you’ll visit her site and bookmark her page. Pixie, leprechaun, faerie, brownie, sprite are all terms for mystical supernatural beings, thought to be helpful or harmful to people. These variations in name are often attributed to different cultures of the world using different languages to describe the same thing or similar mystical beings. From the Huldufólk in Iceland to the Tuatha Dé Danann in Ireland, and the Manitou of Native Americans, these are apparently intelligent entities that live unseen beside us. Faeries, Pixies and Sprites are generally small magikal beings that live amongst nature and are considered helpful when treated with respect. Brownies, Elves, and Leprechauns are larger beings that live in their own villages or mystical communities away from humans populations. They are known to play tricks on anyone outside their community, especially big people like you and me. Faerie is the most general name for the little beings: a good faerie is often referred to as a godmother (faerie godmother); but they may also cause misadventures for humans. A brownie is a good-natured tiny being who appears usually at night to do household tasks: more often outside chores, such as cutting the lawn and tending weeds in flower beds. A pixie is usually a young, mischievous or roguish faerie. A Sprite refers to a faerie of pleasing appearance who is older than a fae and who is to be admired for ease and lightness of movement. Sprite can also refer to an impish or even hostile being in some regions of the world. To the English it’s Faerie; the French it’s Sprites and to the Celts (Irish, Scottish and Welsh) it’s Pixie. Each label for our mystical friends shows up in these around the same time in the 1300s AD. Each story from this era describes mystical beings that either help humankind or trick some unsuspecting human into a sad tragedy of sorts. All of which tries to convey a message or lesson that we humans need to learn. Such as being accountable for our actions, not taking things for granted, or remembering that the grass is not always greener on the other side of the magik tunnel. In folklore a faerie is one of a class of supernatural beings, generally conceived as having a tiny human form and possessing magical powers with which they intervene in human affairs. There are over 1000 varieties of faeries throughout legend and lore around the world. Almost every culture has some form of faerie being who interacts with humans. Some cause havoc while others protect or help. The spiritualists of the west tend to focus on faeries of Europe, but they do exist all over the world. They can be found in Japan, China, India and in many shamanistic cultures of the Native American Indians, African tribes and Australian Aborigines. In Japan the Chin-Chin Kobakama are fairy like in appearance. They are generally elderly but are amazingly spry. They are seen as a house faerie and are specifically interested in floors, either natural wood or rugs. They move into a home, provide their protection and assistance as long as the home is kept clean. They are known to tease sloppy children and chase after sloppy housekeepers. Generally faeries are highly connected to nature and take care of the natural world or what some might call the elemental world. They bring the spring and help the nature kingdom wake up from its long winter slumber. They work through the summer to help nature grow and into the fall to direct nature through its transition into winter. And in winter they bring the snows and watch over the natural world while it sleeps. In these legends, the faeries are in charge of the elemental seasons helping the world transition from one section of the circle to the next. Other legends have the faeries watching over the vortex elements of nature. These elements being earth, air, fire and water. They use these elements to support the natural courses of nature as it moves around the circle of change; birth, life, death and spirit. In our modern times, this is excellently depicted in Disney’s Tinkerbell movies. Each type of fairy has his or her own talent that assists nature moving through the seasons, which are brought to the human world by the fae themselves. Some legends describe faerie signs or signs of faerie existence so humans know what to look for and stay away from. Either to help protect the homes of the fae, or to avoid their mischievous nature. You’ve probably seen some of these signs in your own area in the form of faerie circles, faerie mounds, faerie stones and faerie weeds. Faerie mounds are described in Scotland as the actual physical formations in the earth believed to be the homes of the little people. Faerie Stones are stones with a naturally formed hole that has the vibrational frequency to be worn as a healing agent or an amulet of protection. Faerie Weed is a specific type of plant that assists the faeries with psychic manifestations. 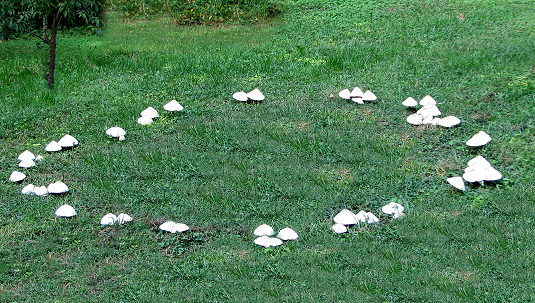 Even today people talk about the faery circles in their yard as a sign of the faery presence. These are circles of mushrooms that seem to pop-up over night in your yard. They are said to grow from the magik dust left behind by the faeries as they danced and celebrated during the night in our world, before returning to their hidden land. For instance a few legends from Asia suggest the entrance into Faerie Land can only be found in the first bloom of a lotus plant. In order to guard against the faeries playing havoc with the human world, some people would block the ‘exits’ from Faerie Land with iron. Faeries believe iron to be an abomination and have no magikal influence over it. In order for a human to gain entrance into the Faerie Land, a human would stick a rod of iron into the door so it could not be closed. The faeries wouldn’t touch the iron and the door would remain open until the human removed it. I love the faeries and I work with those around my home on a daily basis. There are many perspectives on how to work with these mystical beings of course. Some believe that blue faeries are water fae, variations of green and brown are for earth, yellow and red are for fire and white or variations of gray are for air and the clouds. But then there are alternatives to this too. Air comes in many forms. A gentile breeze, a wind from a thunderstorm, or the destructive wind of a tornado or hurricane. Same with water, which can also sustain us or drown us. All the colors within nature are present in the faery kingdom. And like the elements themselves, they can be beautiful or frightening. Or both. Choosing what fae to work with will depend on where you are in the world and where you live. If you live on the water, you undoubtedly have water faeries living in your area. You can help them out by providing tools that they might find handy. Such as a wooden boat. But make sure you use natural materials and not plastics or iron. Only the best for the fae. If you’re making a garden, you might find a couple of small houses at your local craft store. Sit them around the edge of your garden and invite the fae to move in and help tend to your plants. Faery gardens are becoming quite popular these days. 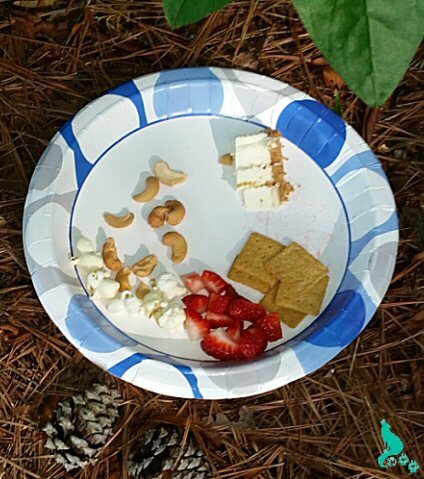 A little popcorn, cashews, strawberries and crackers. With a tiny slice of cheesecake. I ask my neighboring fae to help me when I’m working with clients. Healing or visionary fae will always want to aid you when you’re trying to help others. Calling the fae is like everything else, it depends on your perspectives. I like writing a rhyme for the fae in my world. And don’t be shy about what you ask help with. This is one of my favorite Faery Prayers on Lottery night..
Grant our wishes on this night. That we may win the jack-pot dream. You can invite fae with a prayer, light a candle and say a prayer, use a picture of the fae or a statue, a doll or any other manner of art that shows their presence in your life. From a cell phone cover to a decorative medallion hanging from your car’s mirror. All these things that help you think about the fae, will keep them in your life. But just as important to asking for help is making sure you thank the faeries for coming to help you. It’s also a good idea to make an offering as well. Specific faeries like specific things, so take some time to do a little research about your particular place in the world. If you want to provide a generic gift, leave a plate of fruit or vegetables outside by your favorite tree after sunset. Don’t leave meat! If you leave a drink, wine is the most common. Highly processed alcohol is generally a bad idea and somewhat insulting to the fae. Some faerie experts say leaving alcohol of any kind is an insult. They suggest leaving natural fruit juice instead. Consider your region. If you live in wine country, it’s likely the fae who help tend to the vines would enjoy a glass of juice or wine from those berries. And if you do leave fruit juice, make it natural and not from a powder. You get back what you put out. A little effort will be appreciated by your favorite faeries. Right about sunset, read them a poem, a story or tell them a tale from your imagination. You can even tell them a dream you’ve had about them and how they’ve improved your life. If they brought you a gift, tell them how much you appreciate it and what you have done with it. They’ll enjoy knowing what you did. Thank them for helping you in your garden, yard or even bringing you some magikal smiles into your life each and every day. They’ll appreciate the entertainment and the gratitude. And they’ll be happy you didn’t take them for granted. If you really love the Fae, mark your calendars for June 24th. It’s International Faery Day! You can join in with others who love the Faeries to celebrate and honor their presence is our world. You might even find some special events in your area to join in the celebration. Visit my friend Rhiannon at GiggleGoddessArt.com for inspirational Faery art. From time to time, someone will ask me to write a little post for the website. This article is the result of such a request, for my new friend Rhiannon. 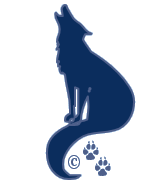 Please visit her site. She has some lovely pieces of faery art!